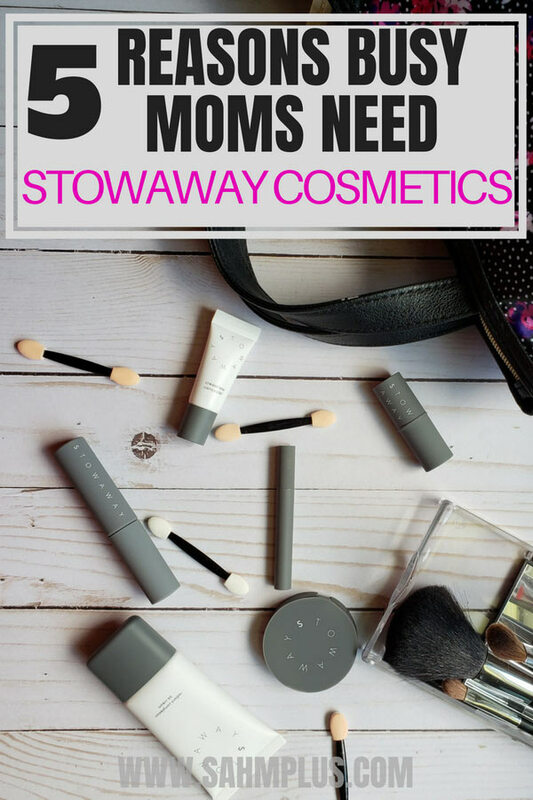 Stowaway Cosmetics Review: Mini Makeup Perfect for Moms On The Go! I’m totally converting to Stowaway Cosmetics, and not just because they’re tiny and cute. 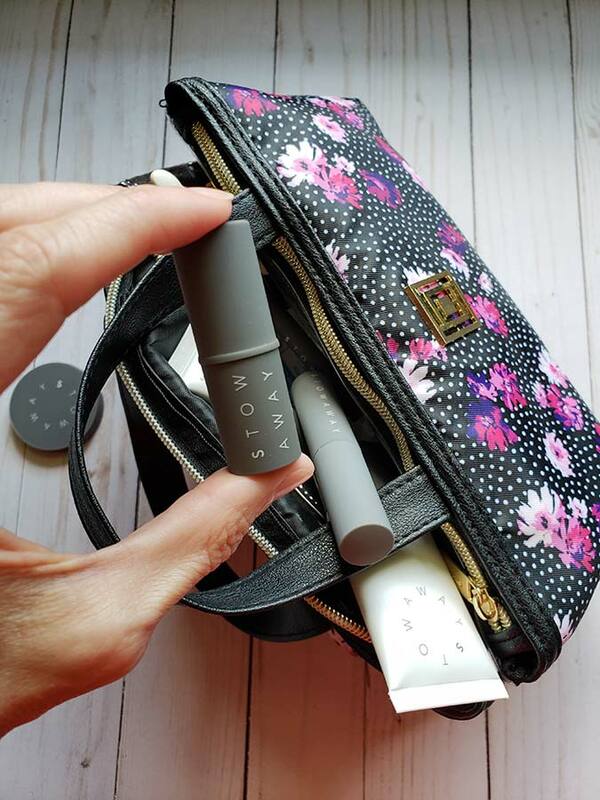 Check out my health & beauty travel and busy-mom friendly Stowaway Cosmetics Review. Several years ago, I decided to clean out my arsenal of beauty supplies. I’d amassed a large supply of cosmetics though I’d use only a select few of them for everyday use. Back before I found out about my Hashimoto’s, I used drug store and grocery store brand makeup. 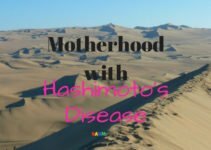 Once autoimmunity reared it’s ugly head, my world was turned upside down. I began to see everything as a threat to my health and decided that wearing cleaner makeup was something I needed to consider. Over $200 later, I came home with a small bag of makeup that didn’t have all the essentials. I literally walked out of the store with the basics … foundation, eyeliner, mascara, and a lipstick. Hardly what I’d expected to spend on so little of a replenishment of my old makeup supply. I couldn’t fathom spending more, so I put my cleaner beauty brands on a wish list in hopes of building up my supply again. Still, traveling with my makeup or using it all up before it expired proved to be a bit of an issue at times. That large bottle of foundation is reserved for things like date night out with hubby, so it truely doesn’t get used as much. Since then, I’ve been introduced to Stowaway Cosmetics. I was provided an essentials set of Stowaway Cosmetics in exchange for my honest opinions. No other compensation has been received. 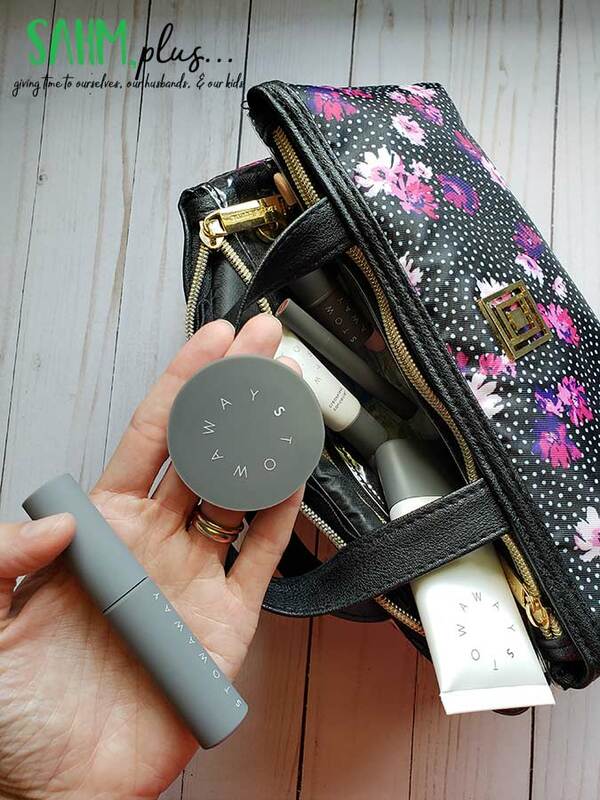 Stowaway Cosmetics is a makeup company designing travel-sized cosmetics for the busy woman on the go. These miniature cosmetics fit perfectly in a purse, diaper bag, or travel kit. 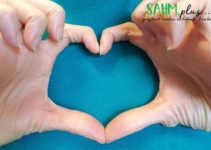 Plus, you won’t have to worry about your cosmetics expiring before you have time to use them. Stowaway Cosmetics provides a variety of makeup products for every complexion as well as perfectly sized travel brushes and makeup bags. I love that it’s an all-in-one shop for concealer, foundation, blush, lipstick and more! 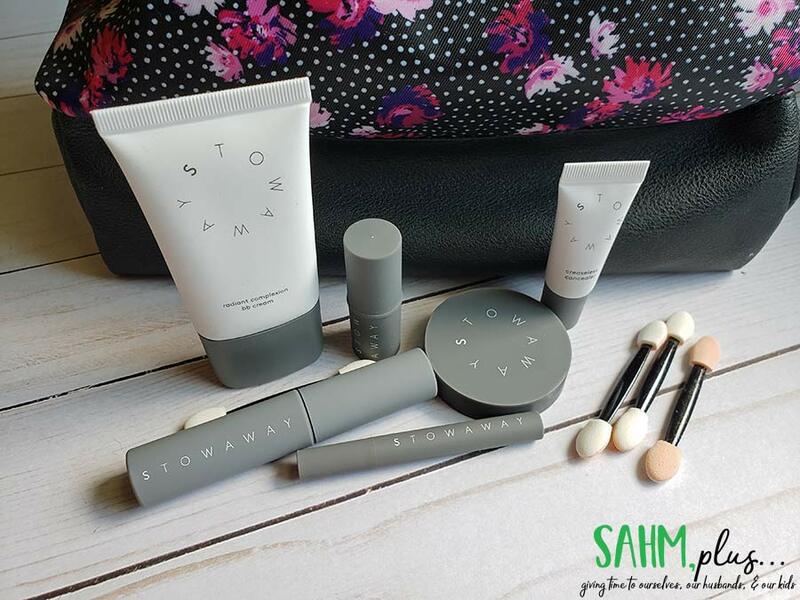 Though it’s not clear in the outward mission on the main parts of the website, Stowaway Cosmetics aims to reduce toxins in makeup, while all of their products are gluten free. Stowaway Cosmetics are EU compliant and free of dangerous chemicals like parabens and phthalates. 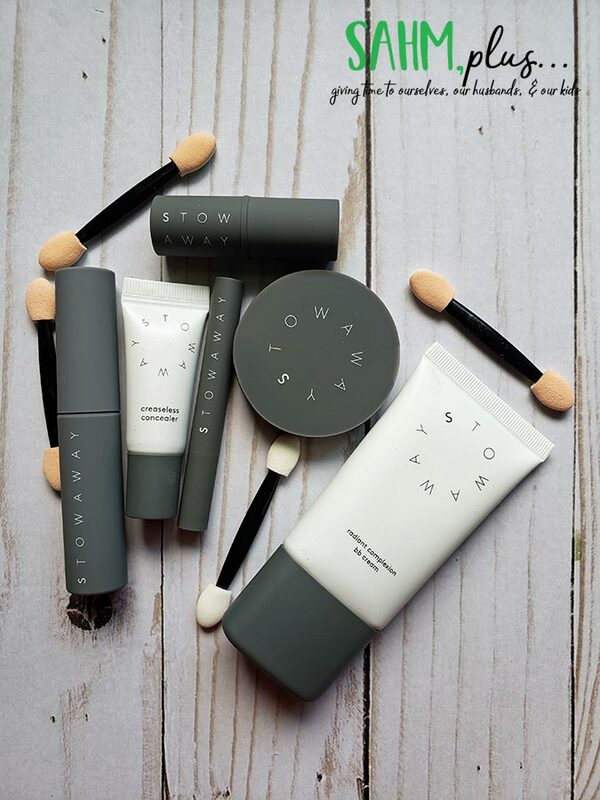 I’ve worn makeup for roughly 20 years, so I was quite surprised by the quality of Stowaway Cosmetics. The first time I put on my new foundation, I couldn’t believe how luxurious and creamy it was. 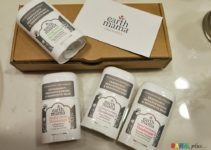 All of the products I received in my kit were as good as (if not better than) all of my current products. 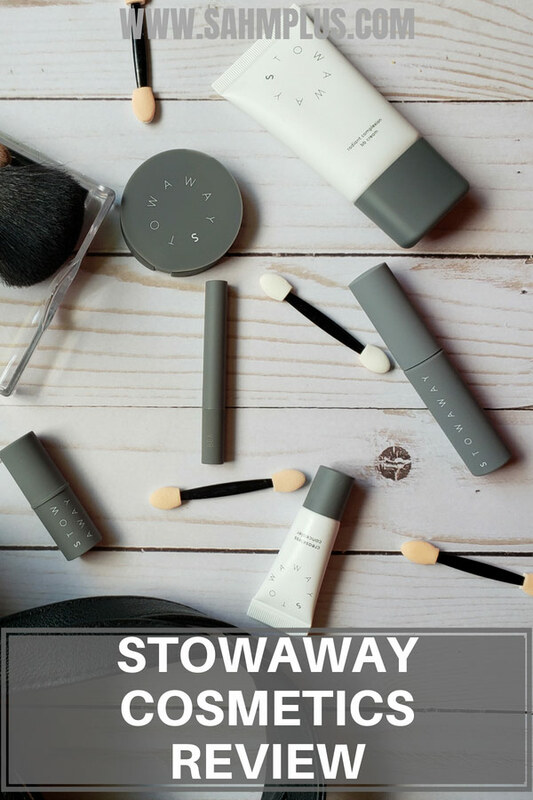 Recently, Stowaway Cosmetics reduced their prices to make their miniature makeup more competitively priced. Though the makeup is perfect for travel and costs less, you’re not sacrificing quality. As I said before, this is the most luxurious makeup I’ve ever worn. It’s small size simply means I’m not wasting precious money knowing I won’t have time to use it up before it goes bad. All of the items in my order go for roughly $65 when ordered individually. If you can find a set that you like, you’ll find an even better value! So, overall, I got much more than I bargained for. I mean, I was really excited to receive these miniature makeup products. Still, they exceeded my expectations I had about the quality of makeup I would be receiving. In truth, I’m completely converted and likely won’t be purchasing my previous brands in the future. 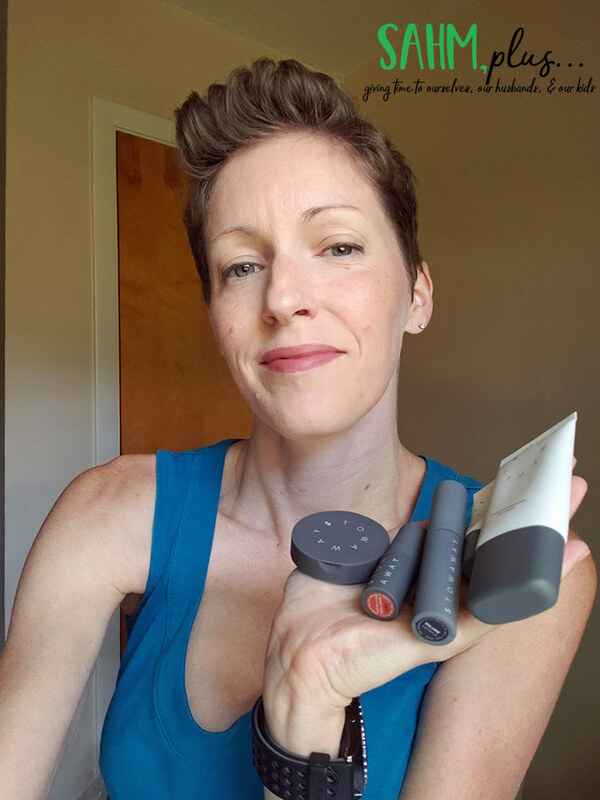 Since these items fit into my daily life and I don’t have to worry about not being able to use them up, they’re perfect for the mom who doesn’t always have time for makeup, but likes quality makeup. As a bonus, the cleaner ingredients are exactly what I look for in makeup. 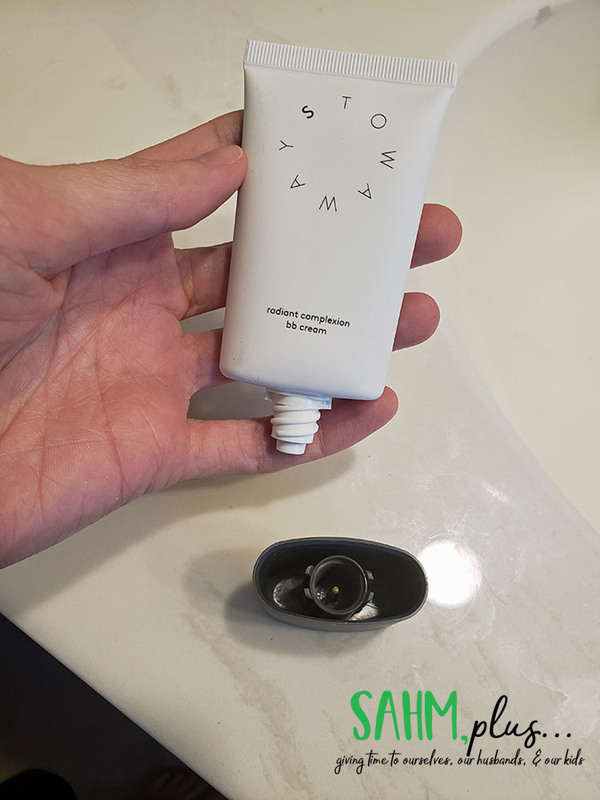 I’m more comfortable knowing my skin isn’t soaking up a bunch of toxic chemicals (unlike other conventional makeup products), which also makes me feel safer knowing that if one of the kids got into my bag it wouldn’t be harmful to them. 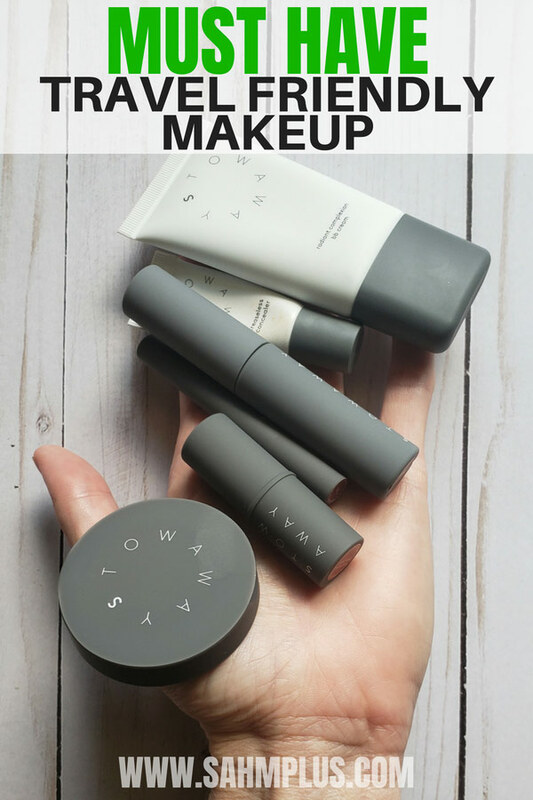 If, after you’ve read my Stowaway Cosmetics Review, you feel like you need to try it to believe it, I highly encourage it. For the price and the miniature size, you can get a good amount to get started without breaking the bank. Spend $50 or more for free shipping, otherwise it’s $5 for standard shipping. Get your perfectly size Stowaway Cosmetics here! 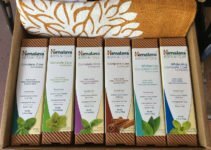 Stowaway Cosmetics cares about waste! Since you will finish your makeup, you can request a prepaid shipping label to return your empty cosmetics containers to have recycled. 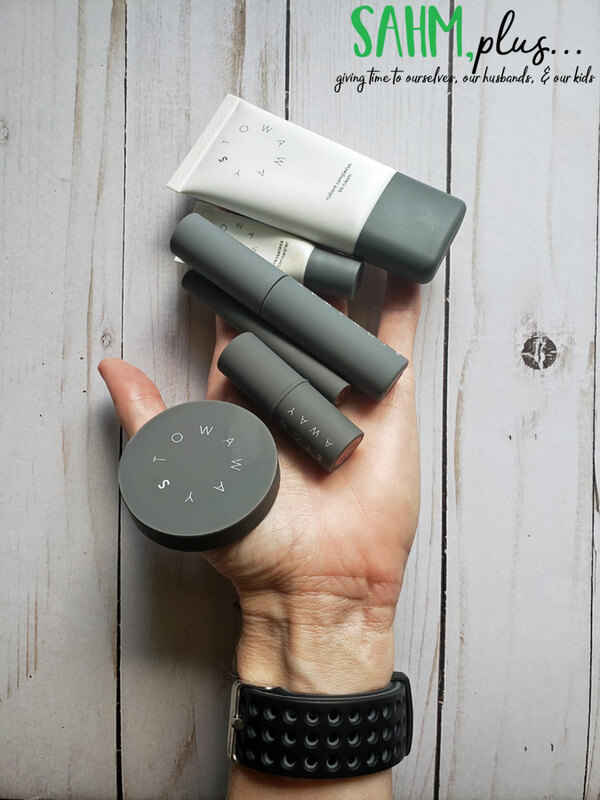 Plus, for every 3 products you return for recycling, you’ll receive $5 Stowaway credit.